Vision : At West Lodge each child finds the spark within them. The light continues to grow igniting the spark in others creating ripples throughout the world. It all starts with understanding and acceptance…. Mission : To equip every child with a toolkit for a successful life. 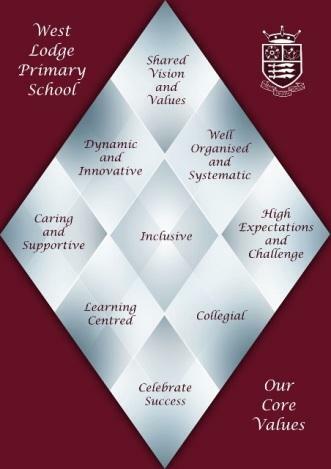 Core Values : Our West Lodge Core Values were created after input from the West Lodge School Council; all staff groups and governors. This ‘Diamond 9’ forms the core values that embody the ethos of West Lodge. 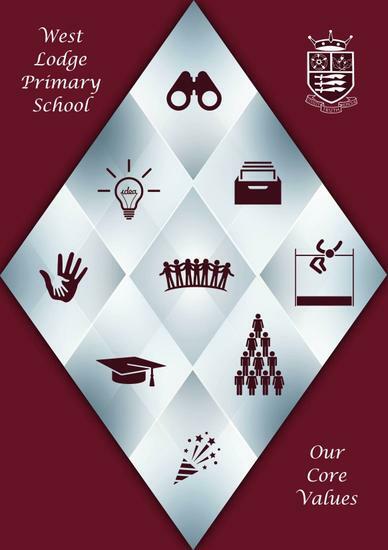 Every member of the School Community will have a responsibility to ensure the safety and well being of all children.